Rob Gronkowski leads tier 1 after his monster first game back (17 targets, 114 yards). Jason Witten drops to tier 2 with Terrence Williams on the rise in Dallas. 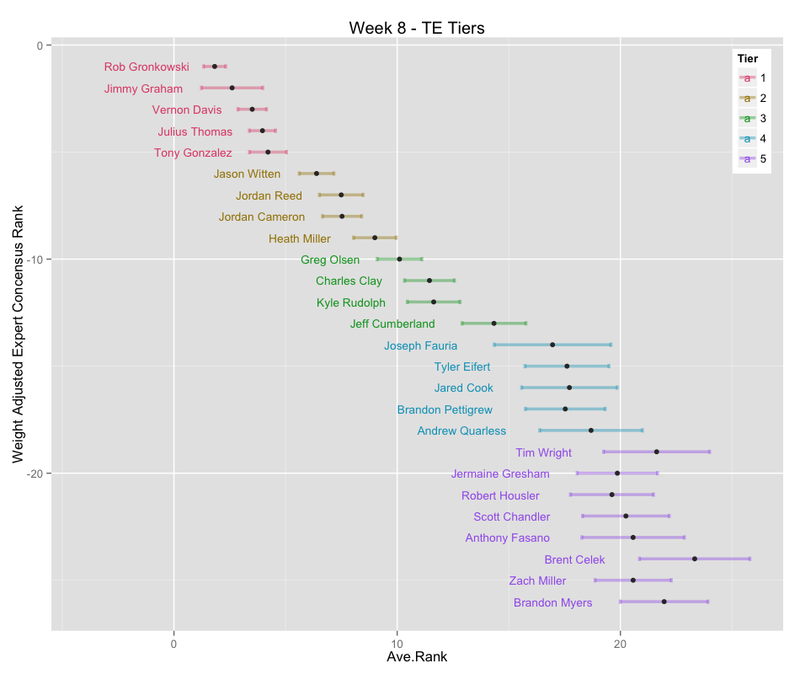 Jordan Reed comes off a monster week (134 yards, 1 td) and climbs all the way up to tier 2. 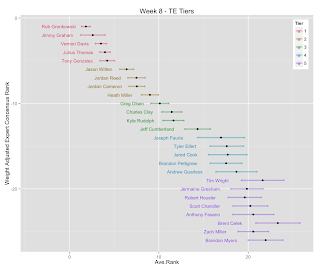 Tier 3 is composed of a group that is more touchdown reliant for points -- Olsen, Clay, Rudolph, and Cumberland.